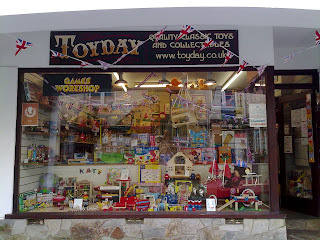 The Jubilee week is here and Looe is already busy this morning with the beach starting to fill up when I walked past at 10am. 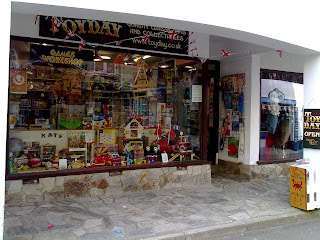 All along the streets, outside every shop and on every boat are flags, bunting and balloons and looks like everyone is making an effort to support the Queen's Jubilee and bring some fun to Looe. There are tasting events along the Quay all weekend where you can sample local produce and test your taste buds and if I get a chance I will be in the queue. 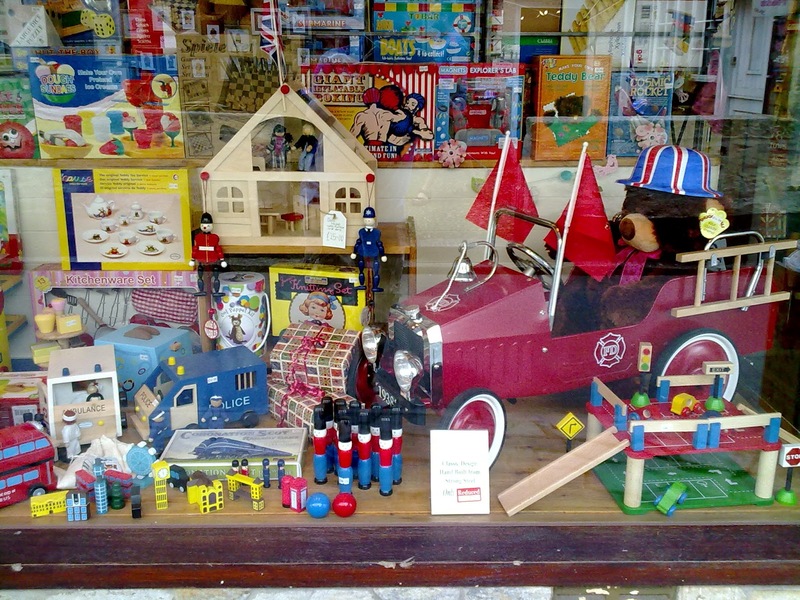 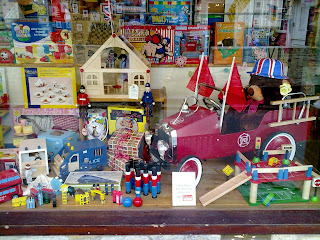 Our window has a selection of beautiful wooden toys to celebrate this week with a set of 8 Soldier Skittles in a Bag, a painted red and blue London Bus, our popular London in a Bag, which features famous landmarks including 10 Downing Street, Tower Bridge, the London Eye and many more, a Coronation Scot Railway Board game to test your skills and many other ideas and games in our Looe and Totnes shops. 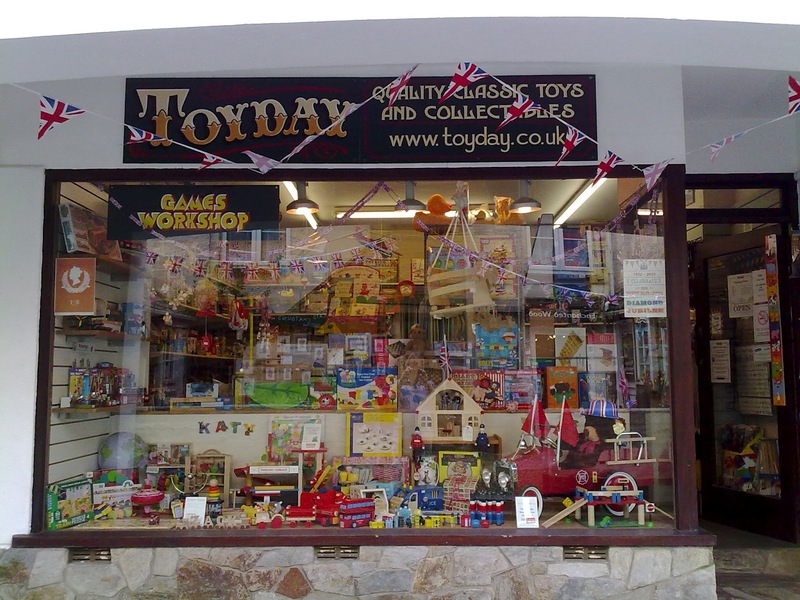 As I write this the street is becoming busy outside and I know many people will be having parties and barbecue's over the coming few days so I can say is have a great time and hopefully the weather stays fine and dry.